Posted 11:02 pm by admin & filed under Happy Customers. Hildy and I have been pleasantly overwhelmed with the excitement of our family, friends and colleagues regarding our engagement. Also, I started a new job on Monday, so lately I have had several wonderful transitions in my life. Anyway, the ring you designed is breath-taking. Hildy absolutely LOVES it! She has taken so many pictures of it and she tells me that she is the envy of all of her female friends, family members and coworkers. 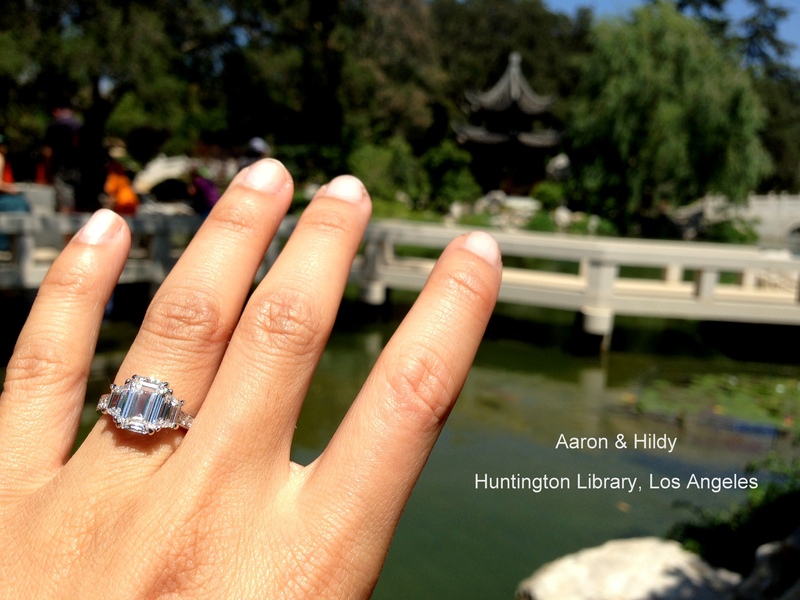 Here is one of the pictures we took of the ring at the Huntington Library. I will send you a few more in short order. I had a very positive experience with you. I definitely will recommend you to others.